Misinformation is deception. The problem is far from new, but a researcher with the University of Notre Dame is taking a fresh look at the root causes in hopes of stopping its negative impact on society. 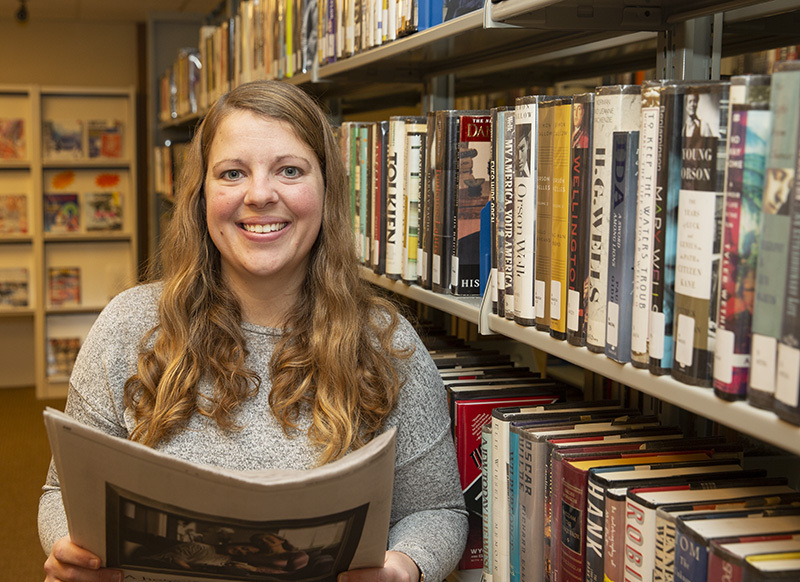 A four-part series in February at Elkhart Public Library will take a deep look at misinformation. Every Wednesday, “The Straight Story – Getting to the Bottom of Misinformation” will offer perspectives on how information is presented, consumed and shared in our community and around the world. Each presentation and discussion will begin at 6:30 p.m. in the downtown location, 300 S. Second St. The events are free and open to everyone. “We’ve always had misinformation in various forms – look at how the Spanish-American War started, for one,” says Pamela Bilo Thomas of Notre Dame’s Interdisciplinary Center for Network Science and Applications. “But with social media, it’s so much easier to find information that conforms to our personal worldview and to share. The series offers a mix of panel discussions and presentations. Local media representatives, elected officials and law enforcement will discuss the information challenges they face in their professions. Presentations will focus on manipulated communications through social media channels and for broader political struggles. Wednesday, Feb. 6: Current State of Local Media – Reporters and editors discuss the challenges of everyday reporting and the journalism business. The panel discussion will be moderated, with time allotted for audience questions. Panelists will be Jon Gard (managing editor of The Elkhart Truth), Jon Zimney (news director of Michiana News Channel 95.3), Kelley Dickens (news director of ABC57), and Christian Sheckler (reporter for the South Bend Tribune). Wednesday, Feb. 13: The Spread of Manipulation and Misinformation – Tim Weninger, assistant professor in the college of engineering at the University of Notre Dame, explores the ease in spreading misinformation online. Wednesday, Feb. 20: Delivering Information: Law Enforcement and Local Government – Pamela Bilo Thomas of the Interdisciplinary Center for Network Science and Applications at the University of Notre Dame will moderate a panel discussion and audience Q&A of community leaders and how information is provided and moderated. Panelists include Elkhart Police Chief Chris Snyder, Elkhart County Sheriff Jeff Siegel, Elkhart County commissioner Mike Yoder, and city of Goshen communications coordinator Sharon Hernandez. Wednesday, Feb. 27: Misinformation Across Countries and Cultures – America isn’t on an island of misinformation. Take a closer look at how people from Asia to South America are struggling with false or manipulated communications.